I was introduced to KT Tunstall by my older sister back when ‘Black Horse and The Cherry Tree’ first appear on the radio. I remember that at first I thought it was a bit annoying but it is one of those songs that the more you hear it the more you like it. When I heard that One2One Network was giving bloggers the opportunity to review KT Tunstall’s new album, Tiger Suit, I decided jump in and to my surprise they chose me, among other bloggers! I couldn’t be any more excited! I am always in for new music. The album consists of 11 tracks and I keep finding myself going back to the first two tracks: ‘Uummannaq Song’ and ‘Glamour Puss’. I really like her upbeat, organic sound. And her voice is rich and soulful, great for a day when you just want to sit back and relax. I can see my self listening to this album while dancing, cooking and sipping on some vino. Oh, tonight is pasta night! Done deal! 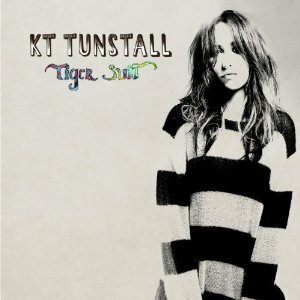 Disclosure: I received KT Tunstall’s Tiger Suit album for review purposes only. No other compensation was received. The opinions stated are my own and where in no way influenced by KT Tunstall, her label or One2One Network.